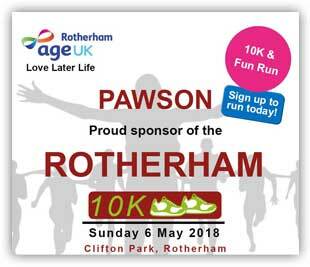 Pawson Group are delighted to be working with Age UK Rotherham and Rotherham’s Ray Matthews to bring you the Pawson Rotherham 10K and Fun Run. On Sunday 6th May 2018, Rotherham Town Centre will be turned into a sporting arena when it plays host to a 10K and Fun Run through the centre of Rotherham, the first event of its kind. Along with Age UK Rotherham and Ray Matthews, Pawson Group will be organising the run that will encourage expert and novice runners alike to take part in this historical event. Working with Age UK Rotherham, Ray Matthews, the Rotherham Harriers, Rotherham Running Clubs, Rotherham Metropolitan Borough Council and the Rotherham Advertiser, The Pawson Rotherham Run will be a 10K Race and Fun Run. The 10K Race will start in Clifton Park and will take runners into Rotherham Town Centre and out towards Centenary Way/Canklow then back towards Doncaster Gate, weaving in Rotherham Minster, All Saints Square, Doncaster Gate, Clifton Lane, Broom Road, Herringthorpe Stadium and finish at Clifton Park. 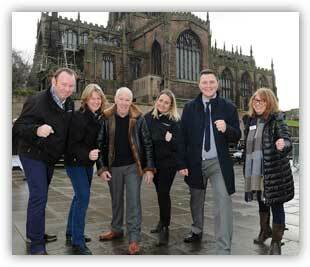 ‘We are delighted to be supporting the inaugural 10K Rotherham Race. 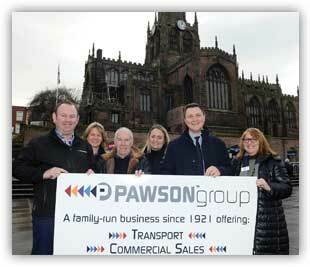 The Pawson Rotherham 10K and Fun Run promises to be a great sporting event for all the family and we are proud to be involved and to be supporting great causes in our home town, Rotherham.’ Stephen Pawson, Pawson Group. The money made from the registration fees will be donated to Age UK Rotherham, an independent charity whose objectives are to make the lives of older people in Rotherham as fulfilling and rewarding as possible. It is a truly local charity helping older people in Rotherham. What better way to celebrate them in their cause to ‘Love Later Life’ than to bring the town to life with runners and spectators. Whilst the registration fee will go towards Age UK Rotherham, runners are also invited to personally raise money for other charities. Copyright © 2018 Pawson Group. All Rights Reserved.